This week we’re joined by Dr. James Payne, Dr. Deborah MacMillan, and Dr. Sallie Short of Georgia College and State University. We’ll be discussing the changing face of healthcare education. Dr. James E. Payne was recently appointed as Dean of the J. Whitney Bunting College of Business at Georgia College & State University. Previous to his current appointment, Dr. Payne has served in several administrative capacities as Provost and Vice President for Academic Affairs at the University of New Orleans, Regional Vice Chancellor for Academic Affairs and Research at the University of South Florida Polytechnic, and Interim Dean of the College of Arts and Sciences and Chair of the Department of Economics at Illinois State University. 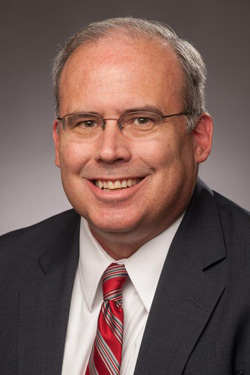 In addition to his administrative appointments, Dr. Payne has held tenure-track appointments at Oakland University and Eastern Kentucky University as well as visiting appointments at the University of Southern Mississippi, Economics Institute, and the University of Kentucky. Dr. Payne has also been a Fulbright Research Scholar and a Fulbright Senior Specialist to the Institute of Economics in Zagreb, Croatia. Dr. Payne continues to be an engaged scholar with a national and international reputation for his research productivity and citations to his work. His research has been funded through grants and fellowships from the J. William Fulbright Foreign Scholarship and the Council for International Exchange of Scholars, Woodrow Wilson International Center for Scholars, American Institute for Economic Research, Government of Canada, Kentucky Cabinet for Economic Development, Kentucky Military Affairs Commission, Kentucky Justice Cabinet, and the Illinois Department of Commerce and Economic Opportunity. Dr. Payne also serves as Editor-in-Chief of the Journal of Economics and Finance as well as an editorial board member for several academic journals. A native of Kentucky, Dr. Payne received his B.A. in Economics from Berea College (1985) and M.S. (1987) and Ph.D. (1989) degrees in Economics from Florida State University. Dr. MacMillan holds an academic appointment at Georgia College and State University where she has taught for the last 10 years. Dr. MacMillan’s nursing career and research trajectory has been dedicated to providing optimal care for women, adolescents and babies. She is a member and Fellow of the American Academy of Nurse Midwives. Dr. MacMillan has been the recipient of three ARRA National Institute of Health Summer Research Grants that enabled her to work as an Associate Nurse Researcher on a RO3 Grant investigating the increase in primary elective cesarean delivery with an inter-professional research team at John Hopkins Medical School from 2009 to 2012. Her current clinical practice and research focuses on providing care to women who are homeless and in situations where they have limited choices about their healthcare. In collaboration with DePaul USA and Daybreak Shelter, Dr. MacMillan and her MSN students established a clinic for the homeless population in Macon. By fully embracing the pedagogy of service learning in 2014, they have provided primary care to over 700 individual. Dr. MacMillan’s research has lead to numerous national and international publications in peer reviewed journals and conferences. 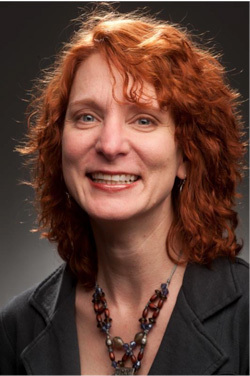 Dr. Sallie Short has published in a number of peer reviewed journals and presented nationally and internationally on her research related to innovative teaching techniques and using service learning to enhance nursing education. Her most recent service-learning educational endeavor was a two week nurse practitioner student run medical mission to Honduras where her team of nurse practitioners and BSN nursing students provided medical care to over 1000 Hondurans in the Agalta Valley. This fall she is to lead a third medical mission to this area. Dr. Short has received several research grants related to her research and international work. Her current research focuses on increasing cultural awareness in undergraduate and graduate level nursing students. Dr. Short actively practices as a nurse practitioner in rural Georgia in a medically underserved county that is also one of the poorest in Georgia. She has extensive experience working with minority groups including migrant farm workers and has a working knowledge of medical Spanish. She is an associate professor in nursing at Georgia College and serves as the Program Coordinator for the Family Nurse Practitioner Program. Her role as International Coordinator for the School of Nursing has led to study abroad and collaborative experiences for Georgia College nursing students in Sweden and Honduras. Her experience with the medically underserved in Georgia allows her to actively train Nurse Practitioner students in the healthcare needs of this population. She was recently appointed as a Jonas Scholar Mentor for GCSU’s first Jonas Scholar doctoral student and is chair of several doctoral student research projects. In addition to her research in increasing nursing students’ cultural awareness, she has conducted research in maternal/child behavioral issues and has research interest in all aspects family medicine and methods to increase access to healthcare in rural areas.